Today has been a whirlwind of announcements from Apples September 7th event in San Francisco. Amongst the announcements, Apple has officially released the launch date of the anticipated watchOS 3. Some of the biggest gripes with Apples first foray into the smartwatch industry were with app load times and just overall responsiveness. According to Apple at WWDC 2016 when the company set out to develop an updated watchOS version, the app load time was a top concern their development team set out to fix. watchOS 3 brings the iPhone app dock to your wrist, which is designed to keep your most frequently used applications current and ready for use whenever you need them. By allowing you to place apps in the dock on top of other software improvements, Apple has also drastically reduced load times on applications. One of the other features in watchOS 3 is the addition of activity tracking for those who are in wheelchairs. The Apple watch will now intelligently tell users in wheelchairs that it is “time to roll” versus time to stand, as well as enable better overall tracking of activity between the different wheeling techniques used. Apple has always done a good job at providing features to enrich and simplify users of their devices lives and they’ve attempted to do that again in watchOS 3. 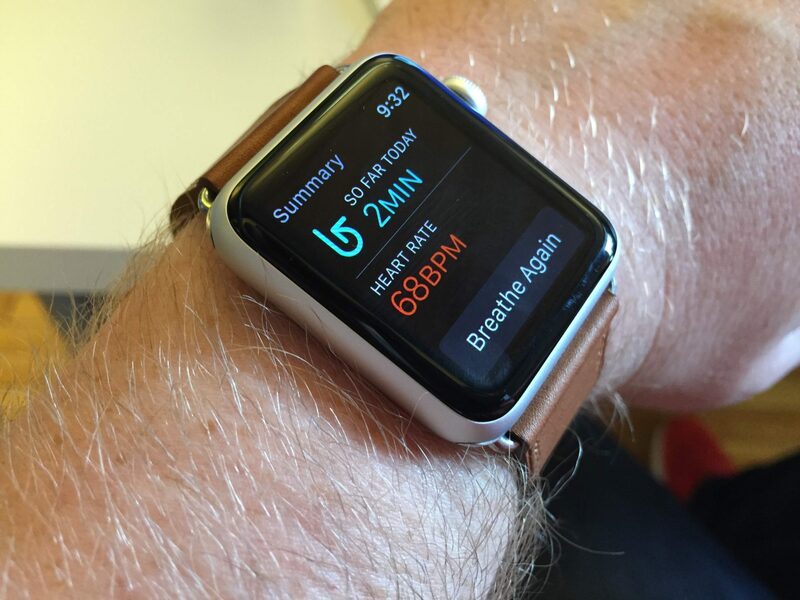 In this update, Apple has released an application they are calling Breathe. The Breathe apple will notify you thought the day that it’s time to take a moment and, well, breathe. The app will pace you through breaths over a user selected time span. The Breathe app forces you to focus on each individual breath as the watches Taptic engine gently maintains pace on your wrist. We will have more on these features and others after the official release date.